When it comes to Fender guitars, Cream City Music is one of the best in the business. We are absolutely wild about these iconic and incredible instruments and our huge selection is one of the best in the country. Every member of our sales staff has a deep level of knowledge about what makes each Fender instrument different and we can help you find your perfect fit to get you the sound and vibe you're after. Got questions? Shoot us an email or give us a call toll free at 1-800-800-0087. Fender entered the world of acoustic guitars in the 1960s, with the King, Concert, Classic, and Folk as their first iterations of the Fender acoustic guitar line. Today, Fender continues to offer a wide variety of top-of-the-line acoustic guitars. Whether they’re seasoned pros or beginners, Fender acoustic guitars will give guitarists unprecedented quality and tone. Fender manufactures multiple different acoustic guitar styles, including small bodies like ukuleles, small parlor models, and travel sized acoustics, as well as, larger acoustic bodies in the dreadnought and kingman models. When it comes to Fender guitars, Cream City Music is one of the best in the business. Our selection of Fender acoustics is one of the best in the world. Have questions? 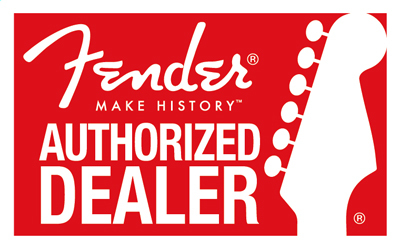 Our team has expert level knowledge of all things Fender and can help answer any question you throw at us. Just shoot us an email, fill out our Gear Finder form, or give us a call toll free at 1-800-800-0087.